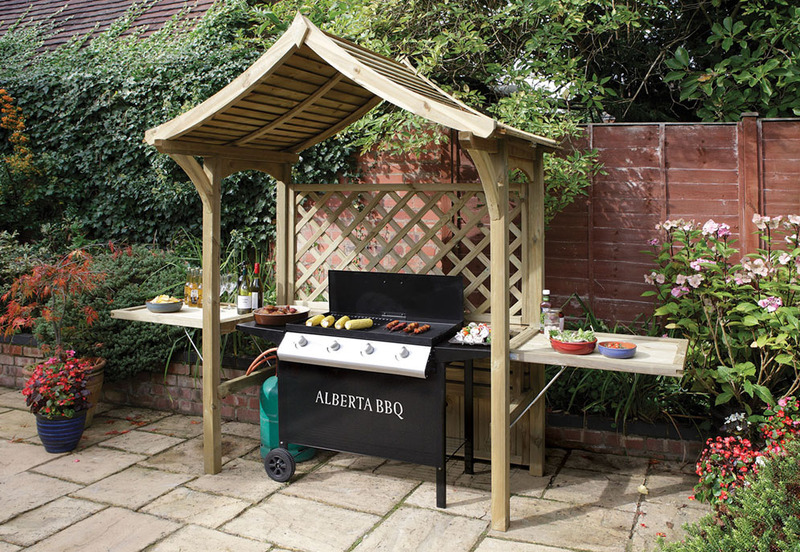 The Party Arbour from Rowlinson is not only a beautiful outdoor seating timber structure, but it is also a functional shelter for your BBQ. The lift up seat provides space for your barbecue and the side panels raise to become handy tables to dine at or prepare food on. This free standing arbour features lattice detailing on the back panel and elegant curves within the roof structure. Make this superb arbour seat the focal point of your garden and impress your friends and family with this superb multi-functional garden seat. A daytime telephone or mobile phone number must be included with your order. Click the button below to add the Party Garden Arbour to your wish list.